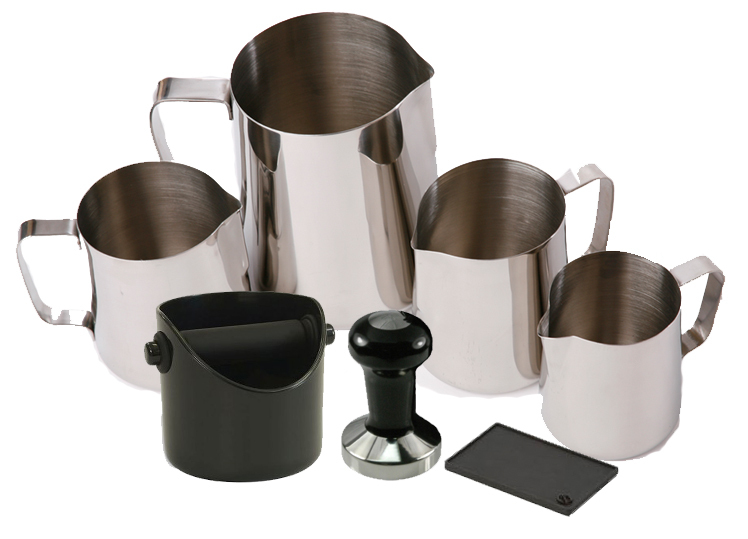 Need all the tools of the trade to make you the Home Barista you've always wanted to be? Look no further. The Di Bartoli Stater Kit gives you all the accessories that you need with your Espresso Machine and Grinder for half of the price ! All of these accessories individually retail at $124. Its yours for only $62 !!! You can select Black or Silver for the handle of your tamper, and we ensure you get the correct size base for your espresso machine. You can also take your pick from our colorful Grindenstein Knock Bin range. *Please note the starter kit can only be purchased with an Espresso Machine. Not sold alone.